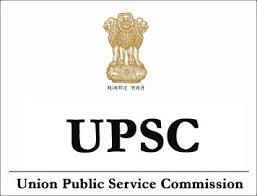 UPSC-Union Public Service Commission Called for 414 Vacancies in Combined defence service CDS(I).Notification for this job was released in November 2017 and the last date to apply for this job was 04-12-2017.Candidates meeting the eligibility criteria can apply through online in their official website www.upsc.gov.in.Read the Advertisment for more details regarding the process of examinations and interview, eligibility criteria, Offline registration processes, payment mode. Indian Naval Academy – Course – Engineering Degree from a recognized University/Institution. Officers’ Training Academy – Degree of a recognized University or equivalent. Officers Training Academy – 23rd SSC Women (Non-Technical) – Degree of a recognized University or equivalent. Unmarried male candidates born not earlier than 2nd January 1995 and not later than 1st January 2000 only are eligible for this Post. Course – Unmarried male candidates born not earlier than 2nd January 1995 and not later than 1st January 2000 only are eligible. (Pre-Flying) – 20 to 24 years as on 1st January 2019 i.e. born not earlier than 2nd January 1995 and not later than 1st January 1999 (Upper age limit for candidates holding valid and current Commercial Pilot Licence issued by DGCA (India) is relaxable upto 26 yrs. i.e. born not earlier than 2nd January 1993 and not later than 1st January 1999) only are eligible. unmarried male candidates born not earlier than 2nd January 1994 and not later than 1st January 2000 only are eligible. 23rd SSC Women (Non-Technical) – (SSC Women Non-Technical Course) Unmarried women, issue less widows who have not remarried and issue less divorcees (in possession of divorce documents) who have not remarried are eligible. They should have been born not earlier than 2nd January 1994 and not later than 1st January 2000. Candidates are requested to pay (Female candidates ,SC/ST candidates are exempted from payment of fee) Rs. 200/- (Rupees Two Hundred Only) either by depositing the money in any Branch of SBI by cash, or by using net banking facility of SBI, or by using Visa/Master Credit/Debit Card.